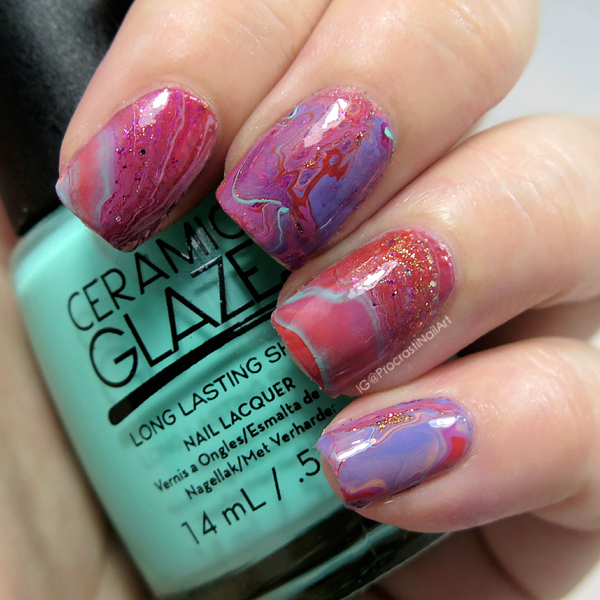 Nail Art // The Digit-al Dozen Does Birthdays: Drip Marble for November! Hello hello! 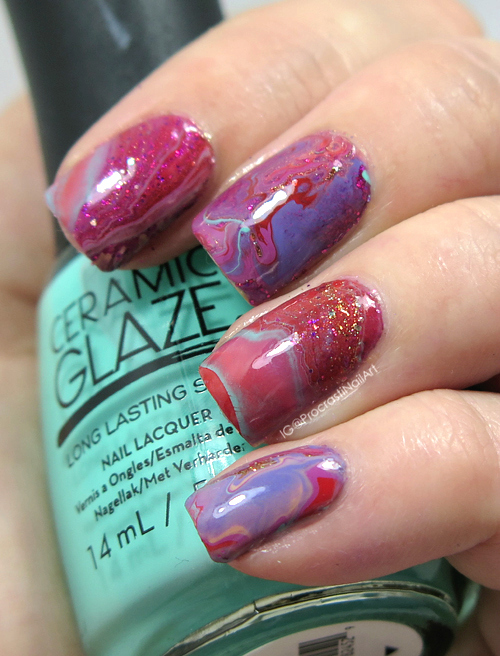 I'm back with this month's Digit-al Dozen BDay mani today, and I decided to do a new technique for me: a drip marble! Basically you put drops of polish on a container lid and tip and turn it around to make the polish spread in different ways. So easy and so fun! Today we're celebrating three lovely ladies: Marisa of Polish Those Nails, Mina of Cubbiful and Serene of Copycat Claws! And a copper glitter from Nicole by OPI the name of which I can't recall! 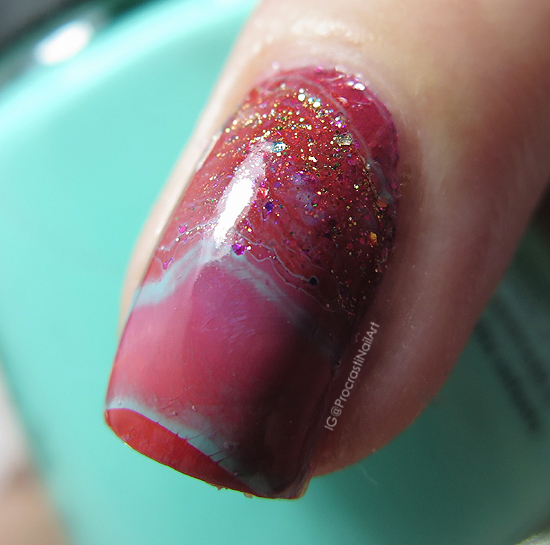 When I did the marble I tried to do the glitter polishes at the top of my blobs so they would show the most, which worked out moderately well! Such a fun idea. I had never heard of this type of mani before. I've tried this technique a few times but they never turn out well. Great mani! 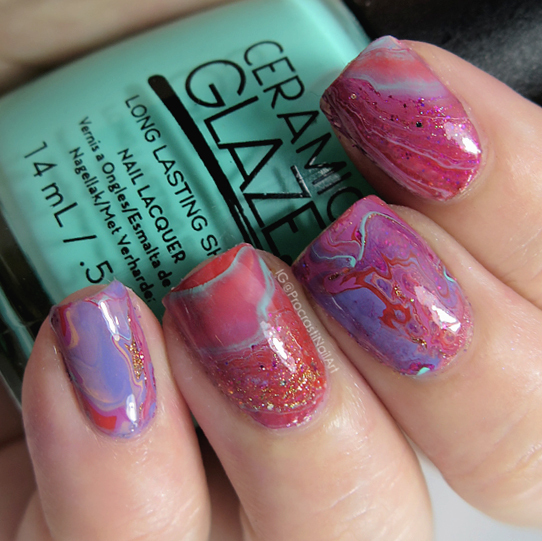 This nail art prompt is awesome! I've loved seeing what everyone did. These are so cool! 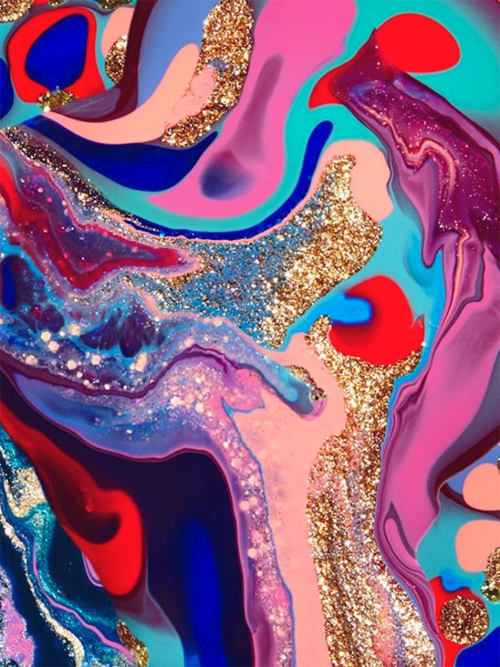 I love how the glitter looks here! This is a great manicure and you really captured the feel of the inspiration photo.